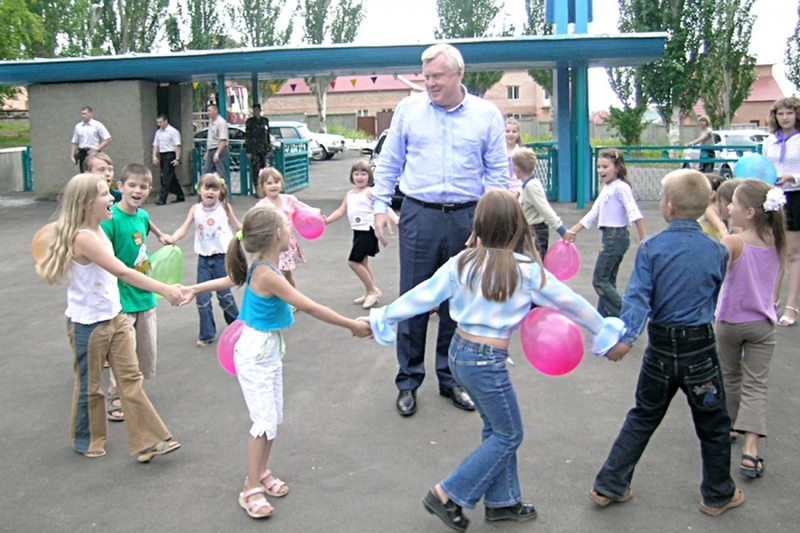 On the 6th of August in 2014 the founder and the first director of the public Joint-Stock Company “Azovmash”, the President of Basketball Club “Azovmash”, the President of “Azovmashinvest Holding”, People’s deputy of Ukraine, Aleksandr Vladimirovich Savchuk would have turned 60 years old. On the 11th of November, 2012 death removed from the world the man whose calling was to create and foresee for many years ahead. Strong willed character, constant desire for winning distinguished and made him stand out of many. He loved life in all its manifestations, was able to take a punch like a boxer and remained steadfast to the last. Aleksandr Savchuk was born in the family of educators. His father, Vladimir Maksimovich was the best lecturer of philosophy in the Institute and had an academic rank of associate professor; his mother, Taisiya Ivanovna was a teacher of mathematics, who has been recalled with a grateful remembrance by her students till now. They both went through the flame of war. And Aleksandr Vladimirovich kept in mind his family and their traditions till the end of his life. He respected the veterans of war. Upon his initiative the quarterly premium for veterans was assigned. And it was paid even during the crisis of 2008-2009. He was one of the best pupils in school. The excellent memory, sharp mind helped him not only in study. Mathematical mindset, logic, skills to foresee the future and to risk – all these qualities were inherent to him. Taking to sport Aleksandr engaged in athletics, box, basketball, football. He chose long distance hurdling among the athletics field-events. He played football in city competitions. He was the true leader both by avocation and by nature. In the institute he pursued a degree for welding engineer, after graduating the higher education institute he worked as a design engineer. Leadership skills required their implementation into specific actions. He did several years in Komsomol field. He was the Second secretary in Zhovtnevyy district Komsomol committee, the Head of the organization department of Komsomol city committee. Various directions-specific activities gave him the possibility to find his own vision for dealing with people. Many things came useful for him during his military service and for his political work in the organization department of the city committee of the communist party. He knew how to engage with staff and how to delve into the subject. However, Aleksandr Vladimirovich saw his place in the world of industry. The year of 1986 became a turning point for Aleksandr Vladimirovich. He chose shop № 23 manufacturing rocket technics; he took up an appointment to a deputy workshop chief on preproduction. To master the production A.V. Savchuk came into work by 7 o’clock in the morning, and went home at 10-11 o’clock in the evening. He examined the work of the shop into details: he took part in completing units of plant, in assembly at all production areas, successfully applying all his knowledge gained in the higher education institute. It took only several months for A.V. Savchuk to go a way of formation which could last for years for other people. 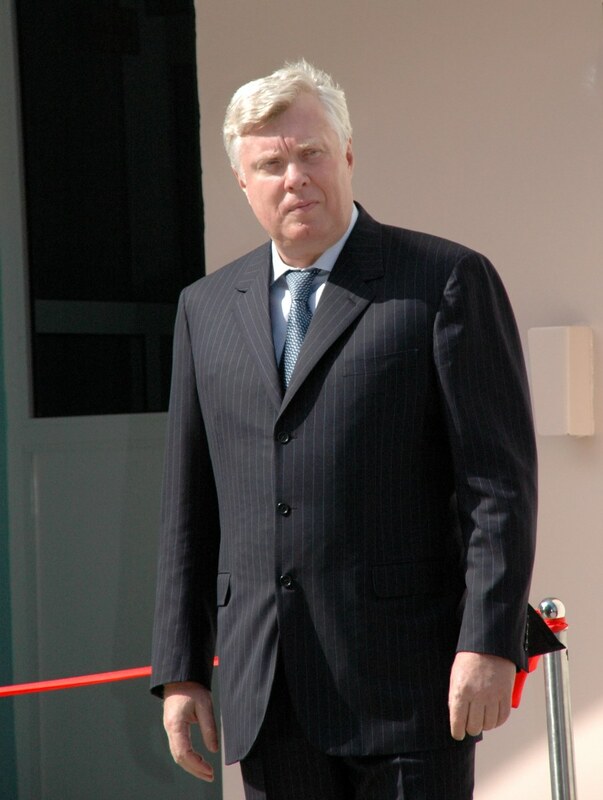 The then General Director I.D. Nagayevskiy highly appreciated the work of the young deputy workshop chief and appointed him to workshop chief of the shop lagging behind in which 7 workshop chiefs were appointed and dismissed within 2 years. Several months afterward the workshop baled out of the difficulties and became the best one in the industry. The work on space programme “Energy-Buran” won a glory for the young workshop chief. The units were manufactured within the shortest possible period and “Azovmash” fulfilled the high profile assignment of the government. Later the enterprise faced the conversion and lost a lot of orders one by one. The epoch of the armoured vehicles ended up at the plant. There was an adoption of manufacturing of the products alien to the enterprise, such as: gas stoves, water heaters, electric cookers. Young, dynamic leader who was able to rearrange himself promptly and think differently was required to manage the renewed production. Aleksandr Vladimirovich Savchuk became such leader. Within the shortest possible time “Azovmash” caught up with Druzhkovka and the Donetsk “Nord” as for the production of the gas heating appliances and became one of the first who mastered the production of the electric cookers. And it was the great merit of the business team and the Production Director of the enterprise, leading over “Azovobschemash”, the first self-financing state firm in the country. Having combined the talent and knowledge of manager, financier, economist and engineer Aleksandr Vladimirovich achieved the impossible as it may seem. Without any defence orders “Azovobschemash” began to manufacture the tank cars and gas tank cars at the suggestion of Aleksandr Vladimirovich. Ukraine concluded the contract with Pakistan as for the supply of 320 armoured fighting vehicles. But large workshops at the plant named after Malyshev where the order was placed were stand idle as there were neither cast steel turrets nor tank hulls. 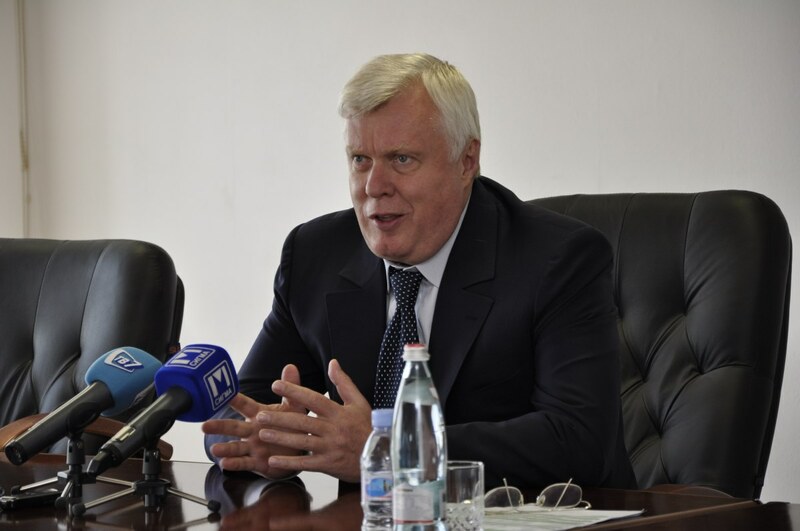 And the consent of “Azovobschemash” to perform this work, the decision of the General Director, Aleksandr Savchuk made possible to got matter off the ground. There was an experience, there were excellent specialists. However, Savchuk’s vigor, resoluteness and ability to achieve the target played a decisive role. The order was completed in time. “Azovobschemash” became the leading enterprise of the machine building industry. And at this the neighbor company “Azov” went to rack and ruin. Such state of affairs was unacceptable for A.V. Savchuk, the chairman of the Supervisory Board of “Azov”. He took on the leadership of “Azov” (now MZTM) during the hardest period. The enterprise came under a raider attack which was repelled. In 1999 there were manufactured 100 tank cars in total (in the Soviet time there were produced up to 12 thousand tank cars). A. V. Savchuk came in good time. Thus, in December the “Azov” employees received a salary in terms of hryvnas, not the canned goods. The arrears of salaries and payments were liquidated within the short period of time. It was difficult time. But Aleksandr Vladimirovich always said that he was a crisis manager. And he proved it by his activity. Aleksandr Savchuk always thought and acted as an innovator. His candidate and doctoral dissertations were devoted to the innovation projects. Having studied the market of the car building A.V. Savchuk came to the conclusion that the production of tank cars and solid-bottom open top cars wasn’t enough for the full production capacity requirements. Hence, within several years the enterprise mastered the production of the box cars of 250, 200, 138, 158 m3 capacities and open top cars with hatches. In 2003 “Azovmash” manufactured the record number of tank cars which was about 13 thousand items. It looked like it was possible to rest on laurels, but taking into account the achievements Aleksandr Vladimirovich knew that the success was inconstant category and the demand for tank cars could be changed. And time proved his foresight. At that time on the direction of A.V. Savchuk “Azovmash” began to master the production of long-base flat cars, coke hopper cars, mineral wagons, and autorack cars. The truck of its own making was developed. Absolutely new for “Azovmash” products became commercially successful. In the beginning of 2000 the enterprise renewed the production of portal cranes for Cherepovets, TolyattiAzot (Volna sea port), Zaporozhye, Mariupol and other sea ports, later semi-gantry and gantry cranes, and mastered the production of overhead travelling cranes. Nowadays “Azovmash” manufactures the whole complex of equipment for converter plants and blast furnaces, as well as degassers, continuous cast machines, car dumpers and many others. “Customer’s request is the law for us”, the president of PJSC “Azovmash” said. “We must manufacture the products in time and to the highest standard”. The production of bowsers of 10 m3 capacities and less has been mastered at the enterprise over recent years. The special category was a creation of the continuous casting machine together with Italian firm for Iron and Steel Works “Azovstal”. “Azovmash” being headed by A.V. Savchuk reached such level of work to cooperate with the global manufacturers, such as: STG Group, Danieli (Italy), Siemens, Mannesmann Demag (Federal Republic of Germany), Voestalpine (Austria), and others. Aleksandr Vladimirovich always was guided by knowledge of economics laws, and he constantly monitored the development of the world market. He was not only the pragmatist, but a romanticist as well, seeing the things which were unrevealed at the first sight. Therefore, it was his strategy for the enterprise development directed to the formation of the vertical integration of the cast billets production. In 2001 the free economic areas were created in the region. By 2004 owing to those advantages the Azovmash employees put into operation the first molding line for the large car castings. The “pet”-project of the German company “Kunkel-Wagner” was upgraded at “Azovmash”, its productive capacity was increased two times and was equal to 1000 parts. Increase in production of cars required the growth of castings output. Thus, there were appeared the idea to build another molding line followed by putting into operation the 60 t electric furnace and continuous-casting machine. In 2000 when A.V. Savchuk became the President of the renewed “Azovmash” incorporating “Azov”, “Azovobschemash”, MTZ and GSKTI, one of his first directions was the regeneration of the steel casting complex. Two 25-t furnaces were restored and two furnaces of 5t capacity were built. Later their capacity was increased up to 10 ton. “Azovmash” began to increase the castings production. The steel-casting complex PrJSC “Azovelektrostal” extended, and the number of employees was equal to 6 thousand people. A. V. Savchuk helped to recover the Mariupol ship repair yard, “Oktyabr” plant, and “Poltavkhimmash”. After converting their productions to manufacturing of cars those plants regenerated. In 2008 the crisis came on the enterprise. The cars output fell off by 60 %, the construction of the big furnace and the continuous casting plant was not completed but under the guidance of A.V.Savchuk they were put into operation. Making use of the demand for tank cars for oil and petroleum transportation A.V. Savchuk succeeded in stopping the drop in production and recovered the production level by 2010. That year “Azovmash” group was reorganized in “Azovmashinvest Holding”. A.V. Savchuk became the President of it. There were different decisions. And in the situation the authority of Aleksandr Vladimirovich played its part as well as his ability to find out the only sound decision. Thus in 2011 it was a success when the new record on production of the freight cars was achieved. In 2012 the production rate was steady. Taking into account the demand for medium-size castings the programme for construction of the third molding line and two furnaces in the workshop № 108 was developed and performed. “Azovmash” works extensively on Brasilian-Ukrainian Programme “Cyclon-4”, development of armoured vehicles. Speaking of Aleksandr Vladimirovich it should not go unmentioned that he had a solicitous attitude to the social complex. “Azovmash” is the only enterprise in the Donbass region which retains completely its social base: 2 holiday centres on the shore of Azov sea, tourist centre “Alaniya” on the North Caucasus (RF), the children’s recreational and leisure institution “Cosmos” in Yuriyevka settlement, sanatorium-preventorium “Zdorovye” which annually provides recreational rest for 7-8 thousand enterprise’s employees, their family members, labour veterans. The Palace of culture “Iskra”, sanatorium-preventorium, the Palaces of Sports were reconstructed, the team sports Palace and hotel complexes were built. All they are of the European level. The new look was given to the Square of Mashinostroiteley, areas of A and B production sites. A lot was done for the monumental propaganda in the city: the memorial “Tank”, the monuments to Karpov, Nagayevskiy, and Nefedov appeared. According to the programme “Housing” there were built 3 multistorey houses and a social building. 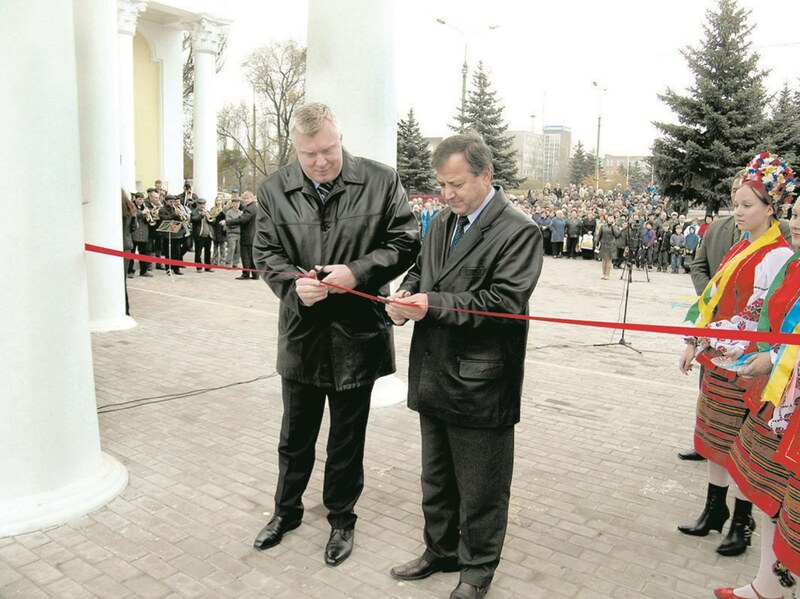 The Park named after Petrovskiy was renewed. A powerful lot of financial resources were invested into the purchase of the medical equipment and repair of municipal hospitals №№ 5 and 9 and a plant polyclinic, as well as into monetary aid for orphanages, the care centre, and a day nursery school “Solnyshko”. Annually a good deal of money is allocated to the schools and pre-schools institutions to be prepared for the new school year. Big monetary assistance is rendered for sport development. In 1998 A.V. Savchuk became the head of Graeco-Roman wrestling club “Azovmash” which won the Cup of Graeco-Roman wrestling. The prize-winners of the World, European and Ukrainian championships, the champions of Olympic Games have been trained there. 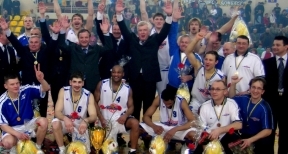 In 2000 the President of PJSC “Azovmash” became the President of Basketball Club “Azovmash” and Sports Club “Azovmash” as well. A.V. Savchuk had a streak of uncompromising stand in his character that was well known for many people. He hated to be defeated and his target always was to win a victory. It was he who made the slogan: “We are unwinnable if we are together”. Today Basketball Club “Azovmash” is a calling-card of our city. The Club is well known in Europe and CIS countries. 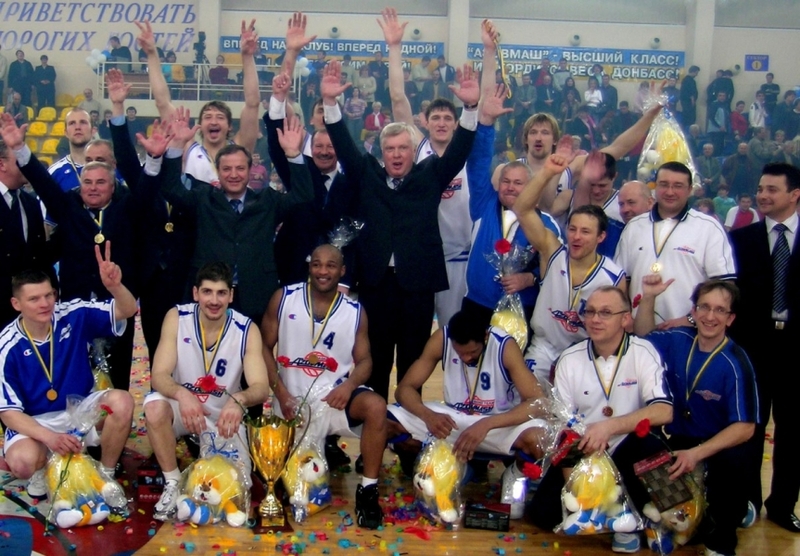 It is the seven-time champion of Ukraine, the winner of the International tournaments, the participant of the European Cup, the VTB United League. Besides, A.V. Savchuk supported the parathletics – R.Filimoshkina became the champion of the world on hammer throwing. Thank to A.V. Savchuk the culture is developed - the Palace of Culture “Iskra” is one of the best in our country. There are 18 amateur talent groups, 14 of them have the honorary title “People’s” and «perfect». Plenty of money was allocated to holding a lot of competitions including the International ones. The charitable activity performed by A.V. Savchuk is well known not only among the Mariupol citizens. 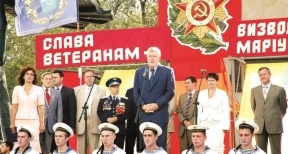 In 2003 he initiated the foundation of the fund for low-income citizens of Mariupol, in 2007 – the charitable fund of “Azovmash”. 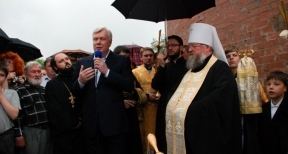 “Azovmash” invested a powerful lot of resources into the Kiev Pechersk Lavra and Svyatogorsk Lavra and into the construction of the churches. 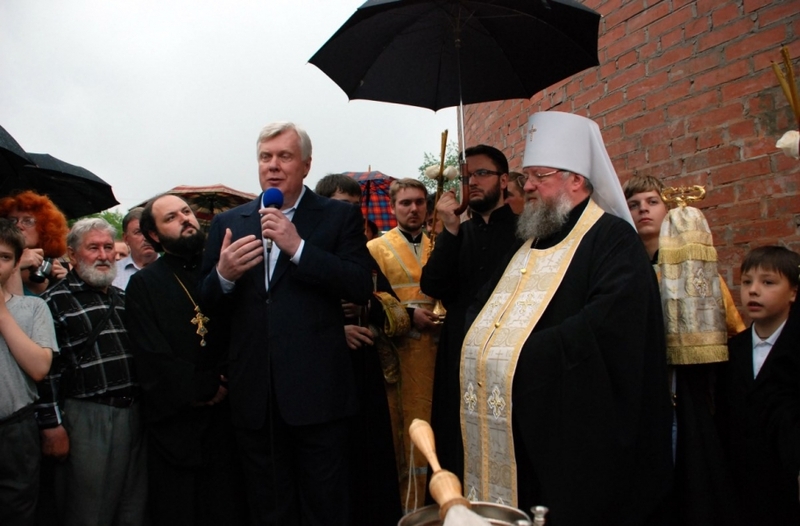 Nowadays, the Church of the Protecting Veil of the Mother of God is under construction which was started upon the initiative of the President of “Azovmash”. This is a contribution of Aleksandr Vladimirovich to the development of the spiritual culture for which he was awarded with the orders of Russian and Ukrainian patriarchates (Moscow Patriarchate). A.V. Savchuk’s contribution to the city infrastructure is tremendous: the park named after Petrovskiy has been renewed and modernized completely, 9 trolleybuses have been purchased and presented to the Tram-Trolleybus Authority, roads have been reconstructed, the garden squares have been set out, and the sports grounds have been built. In 2006 Aleksandr Vladimirovich Savchuk was elected to be a People’s Deputy of Verkhovna Rada of Ukraine, and in 2007 he was elected again. A lot of electors addressed to him with various requests, and he helped a lot of them. 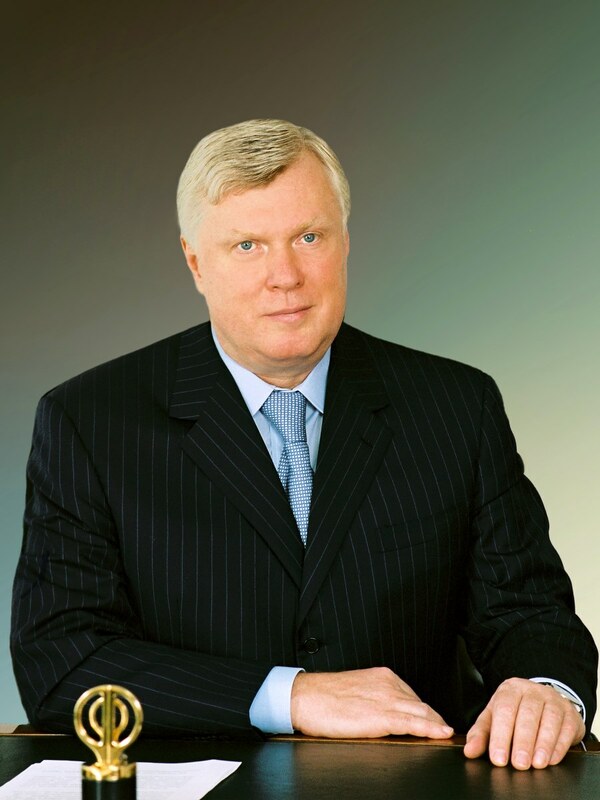 Being the President of “Azovmashinvest Holding” the President of PJSC “Azovmash” incorporating machine building enterprises of Mariupol and Poltava, Aleksandr Vladimirovich did a lot for the industry regeneration, for creation of new working places. The team of like-minded fellows working on the implementation of the plans has been brought up by him. 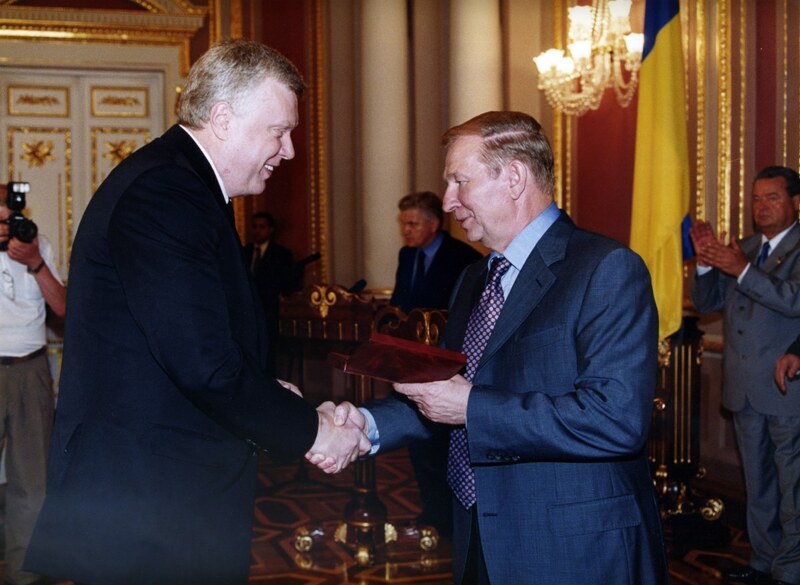 The full cavalier of the Order of Merit, the honoured machine builder of Ukraine, the honorary citizen of Mariupol, he was awarded with many other orders as well. Aleksandr Vladimirovich passed away prematurely, and did not accomplish all his intentions. He had a lot of plans and ideas. He died on the fly like a bird. 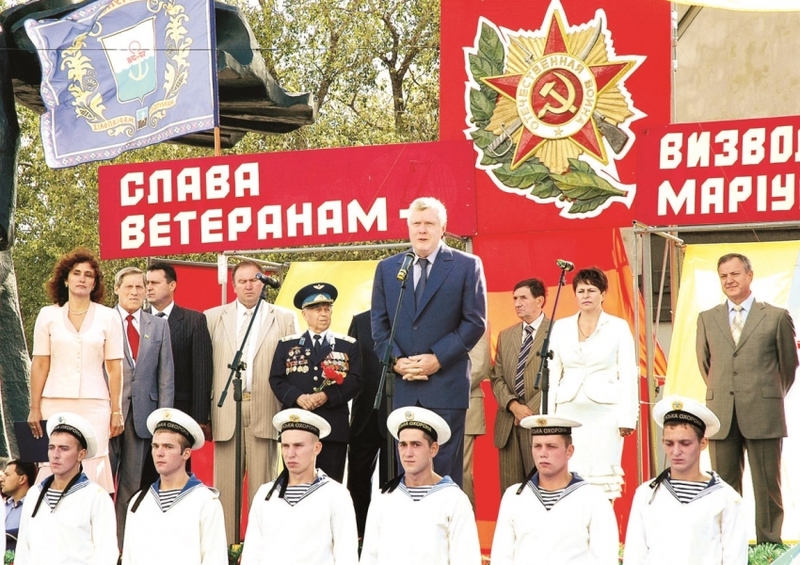 But Aleksandr Vladimirovich Savchuk left behind him the enterprise which is the flagship of the machine building industry in the CIS, the Azovmash traditions and belief in “Azovmash” that he had raised up and given a new lease of life.